For the most part, everything about our lunch was good. 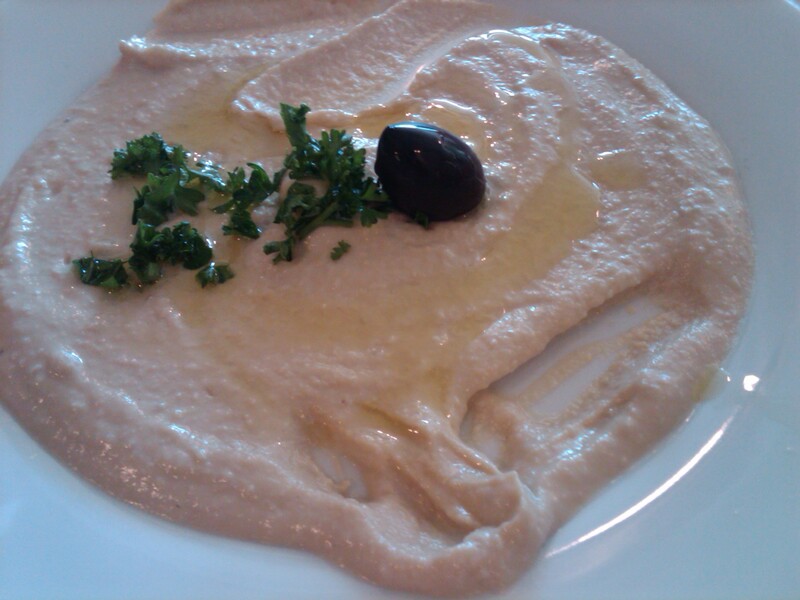 The hummus and pita were great. 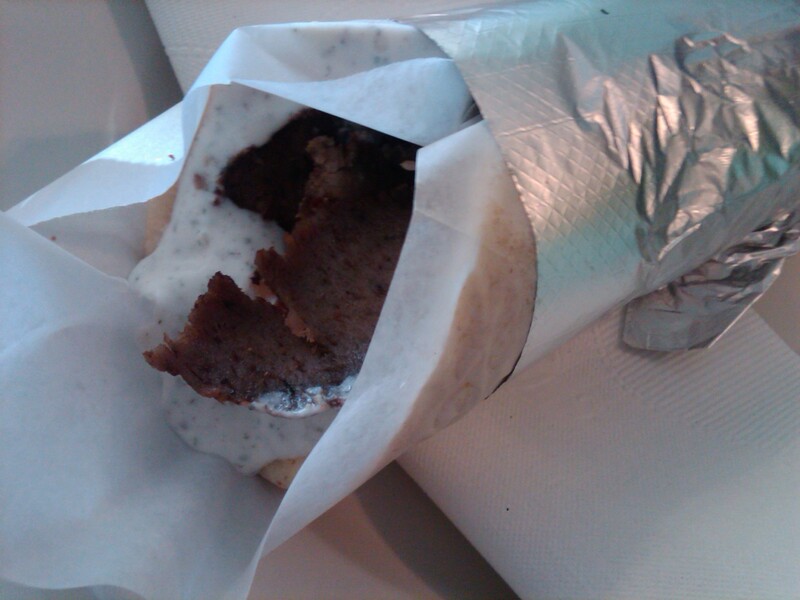 Karla, Mat and I got a gyro. And Kristy got this garlic sandwich thingy. Sorry, I can’t remember the name of it. I took a to-go menu to remember, but lost that somewhere along the way. I think it was because I swore I’d already written this review. So rather than going back to the restaurant to get a menu (which will never happen), I decided to wing it. Mat ordered his gyro with less cucumber sauce, which was a veteran move, by the way. Unless you like a lot of cucumber sauce because it’s very generously applied. Sadly, there were no Lebanese pickles. But we did browse the store after and Karla found some there while Kristy bought some chickpea-based candy. Overall, a good time was had by all and lunch was delicious. 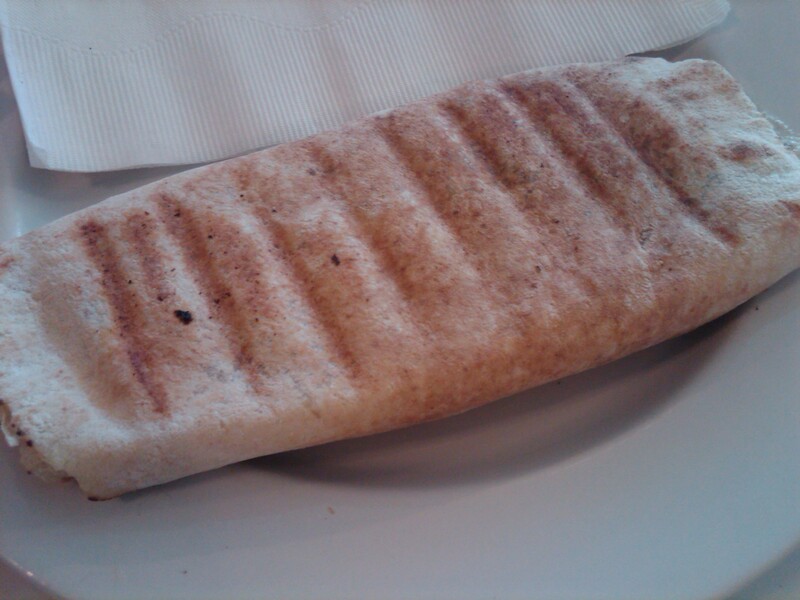 Pita. 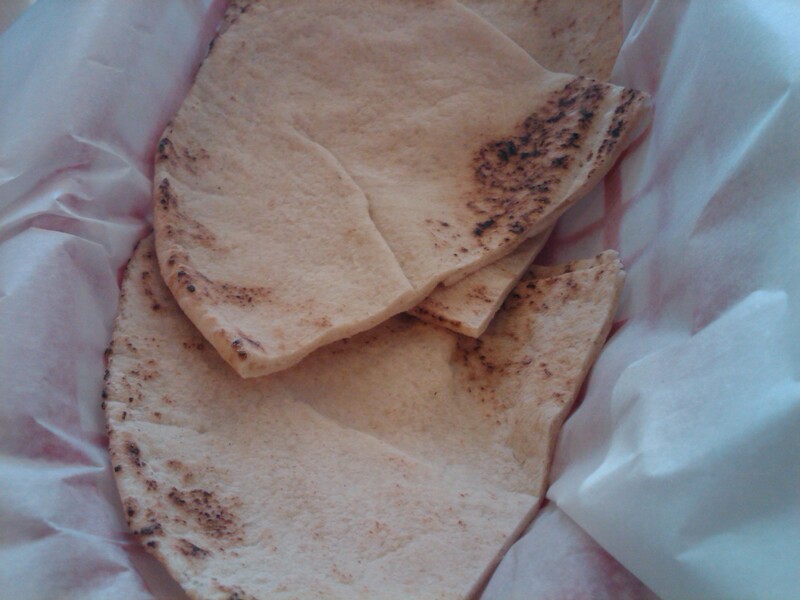 All good things in life are wrapped in pita bread. Garlic Thingy – Sorry, I can’t remember what it was. And I lost my to-go menu.